The week-end before last, this correspondent had to travel for quite a distance in Sydney to a cousin’s wedding. Now that might strange, becauseas is clear from these pages, the BotF correspondents are a well travelled lot (4 continents from which posts have been sent at last count). When you are in your home town, however, you tend to stay close to home-base (well this correspondent does anyway). The church ceremony was at a suburb that I hadn’t heard of before in Sydney’s northwest, whilst the function was even further out at a suburb called Richmond. A 2 hour delay meant that there was an opportunity to explore new territory that would otherwise be left untouched. Fortunately between the two venues, a relatively new entrant into the Australian brewing scene existed between the two venues. 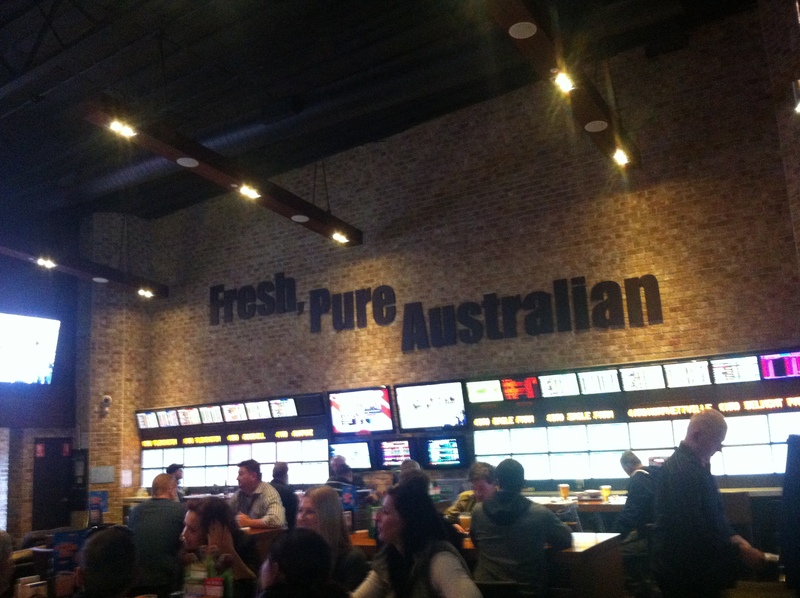 The Australian Hotel and Brewery is located in Rouse Hill and is that big you can probably see it from space. Everything is huge – the pub, the brewing facilities, the kids area and most of all the punting facilities. It was opened two years ago and feels new. The bar staff is smartly attired and extremely polite. 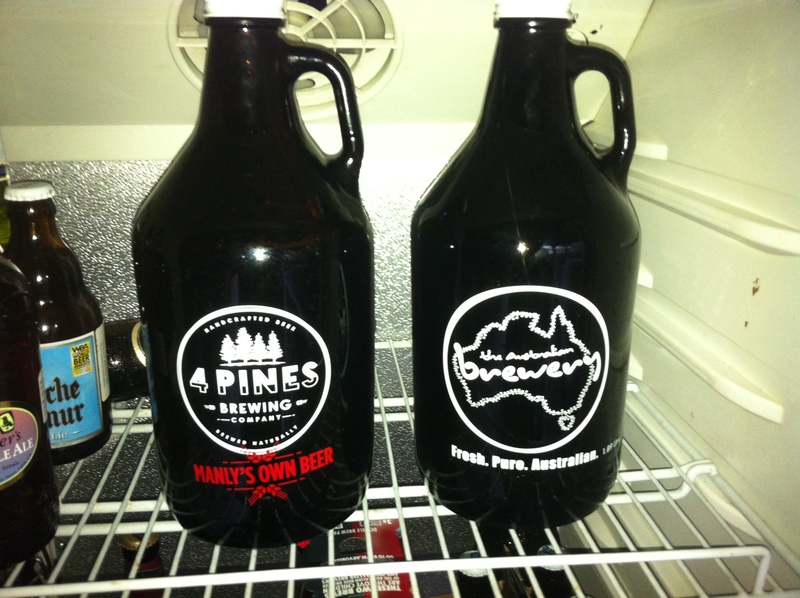 I’ve started to see Australian Brewery beer at a couple of my favourite venues – Harts Pub and Murray’s at Manly. Their Smoked IPA is very good and I’d also tried the Cerveza (not so great), but the stand-out thus far has been the Vanilla Mild – a British style mild beer with appealing vanilla overtones. I was driving and couldn’t go wild – but then I saw a very good deal, which would enable me to give an AB beverage a good lash at a later date. 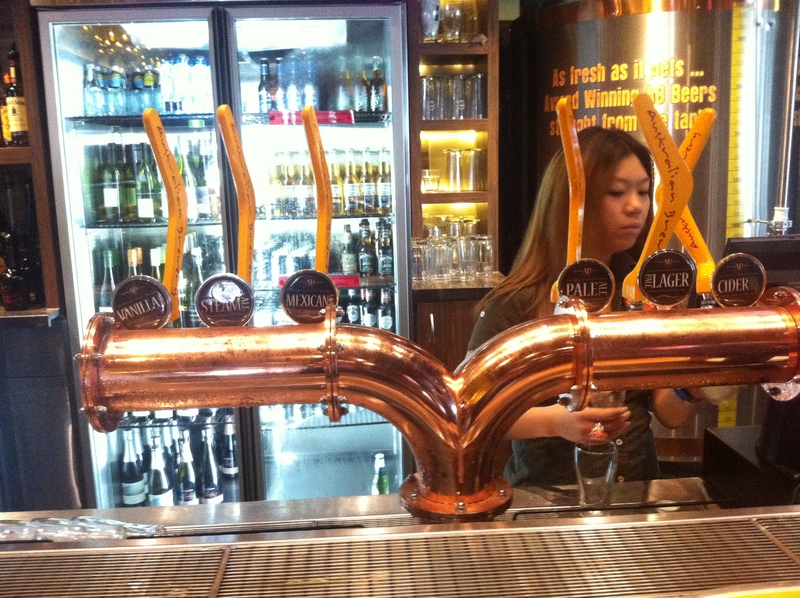 The bar has at least seven varieties of Australian Brewery offerings on tap (Vanilla Mild, Pale Ale, Pale Lager, Steam Ale, Dark lager, Cider and Mexican Lager). I opted for the Steam Ale, which was a really clean, cold ale. Nothing spectacular, but a real refresher. The dark lager was right up my alley – roasted and dry. I could have knocked off another very smartly – but instead asked the barmaid to fill up a $7 growler (yep $7) with dark lager, which only cost $15. That is a bloody bargain in anyone’s language. I’d love to vist the Australian Hotel and Brewery again – for a longer session – but I’ll need to find a driver and start early to get home at a reasonable hour.